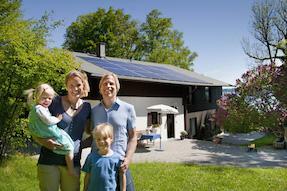 Green America encourages you to explore solar for your property with EnergySage. Our mission is to harness economic power to create a socially just and environmentally sustainable society. We believe in creating a healthy, sustainable world by taking positive action. As part of this effort, Green America has partnered with EnergySage to provide a simple way to go solar. The EnergySage Marketplace gets you quotes online from multiple, pre-screened local installers and helps you compare offers in an apples-to-apples format so you get the best deal.